The Nike Air Max 270 was a polarizing shoe when it made its way to store shelves earlier this year. 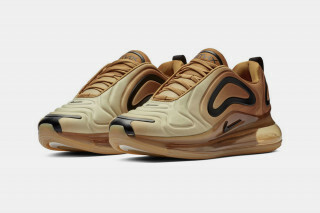 Thanks to a humongous air bubble on the back, sneakerheads were left torn as to whether or not they were actually on board with where Nike was going. 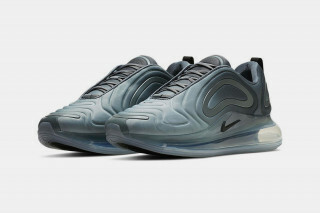 Well with the Nike Air Max 720, Nike has doubled down, using the large bubble throughout the entire shoe, not just the heel. We have already seen the "Aurora Borealis" colorway, but now Nike has blessed us with a look at even more colorful options. In this article, we will be taking a look at four of the colorways, two of which dubbed "Sunset" and "Aqua" while the other two sport a charcoal grey and bronze tone. One thing all of these shoes have in common is the upper. They all start with a lighter tone towards the toe box and then as the shoe progresses to the heel, the colors get darker. Perhaps the flashiest colorway of the four is the "Aqua" version which starts with a loud teal and eventually becomes a darker blue. 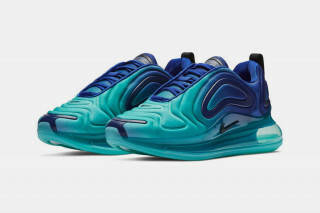 There is no word yet on when these will be released but expect them to come out sometime around Air Max day in March of 2019. 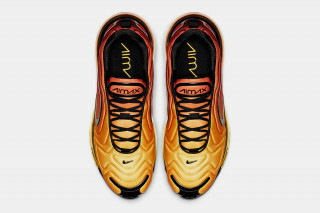 For a look at some of the other colorways, check out the pictures below.